Our shuttle from León to Granada took about 3 hours, and we arrived just after noon. We went for some “luxury” this time, a cheap hotel (Case de Alto) in the outer part of the city centre, with hot water, air condition and a balcony. The air condition was a good choice, because Granada seems to be even warmer than León. 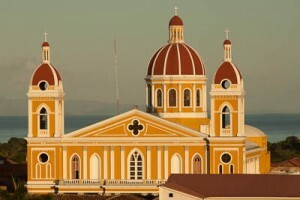 Granada was founded by the Spanish colonialists in 1524 and was the first European city in mainland America. 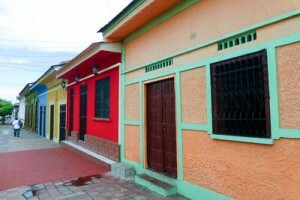 It’s the national tourism hub, and it’s popularity has led to a large-scale restoration of the old colonial buildings. There’s not a lot of attractions in the city, but it’s nice to walk around in the colorful streets, with loads of tourist-friendly restaurants and bars. Parque Central in front of the cathedral looks very touristic at first, with horse carriages, market stalls and expensive cafès, but there are also street food stalls with plastic chairs popular among the locals. 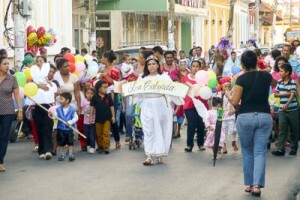 The main tourist street is Calle La Calzada, a pedestrian area with bars, restaurants, travel agencies and a few shops. It stretches all the way to the docks at the shore of Lago de Nicaragua. This part of the street is mostly empty, and the area by the lake is not much developed either. But with the growing rate of the tourist industry, I’m sure it won’t take long. We didn’t have too many excursions while in Granada. 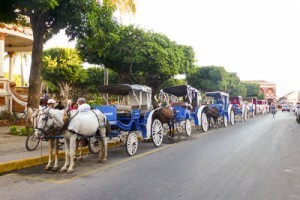 We enjoyed the amazing breakfast at Kathy’s Waffle House (twice), tasted the craft beer (lemongrass ginger wit) at Espressonista, relaxed in the many beautiful courtyards, watched several Christmas parades and something we think was a celebration of the Nicaragua canal, had a great time talking to a Canadian couple at a way to warm pub terrace, had some Nico Libre at our hotel balcony and a Nico Mule (local rum and home-brewed ginger beer) at Casa San Francisco, visited some churches (got a sneak peak of a wedding and a graduation) and watched some live music at Imagine. One afternoon we climbed the tower of Iglesia La Merced to enjoy the view of the city, the surrounding volcanoes and a beautiful sunset. 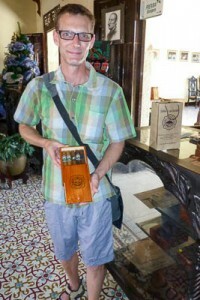 We stopped by the tiny Doña Elba cigar factory, where we were shown the entire process and got the final result as a gift. We also bought some cigars for Christmas and New year’s eve. 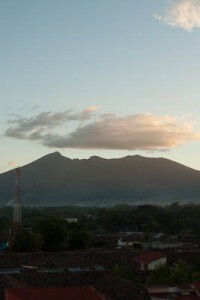 And on our last day in Granada we went on a canopy tour to Miravelle at the base of Mombacho volcano. 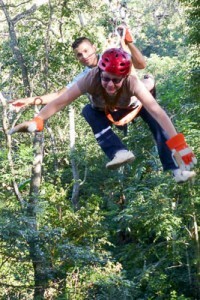 It had 17 platforms, 3 hanging bridges and 11 zip lines, the longest 300 meters. 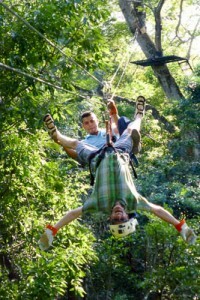 Zip lines are always fun, but on this tour we also got to go upside down and superman style. On the last one the guides bounced the line while we were going down. Really fun! !